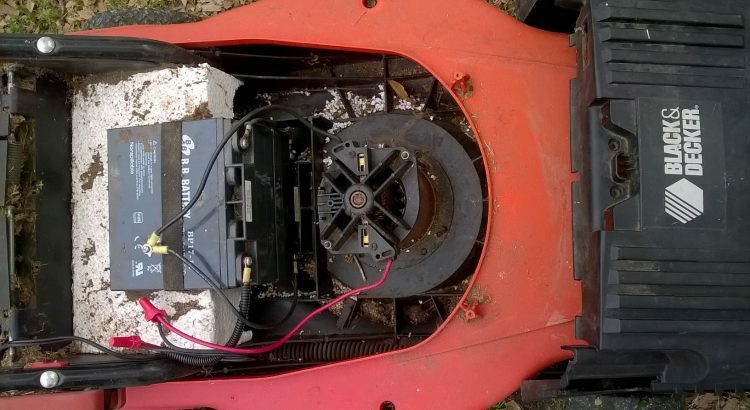 I found a Black and Decker 24 volt electric mower discarded several months ago. It is an older model and I did not expect it to run. I expected to part it out. The batteries still hold a charge and the charger works. The electronics were apparently fried so a simple 69 cent household on off switch was used.